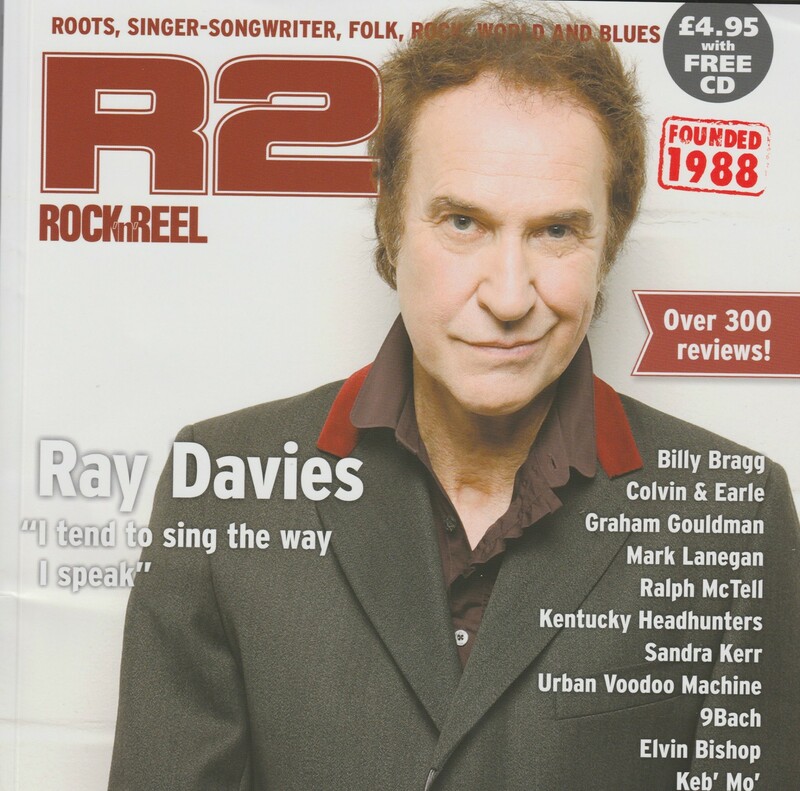 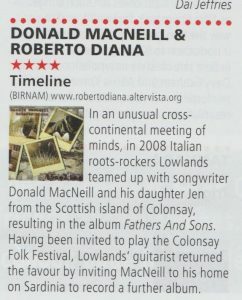 “In an unusual cross-continental meeting of minds, in 2008 Italian roots-rockers lowlands teamed up with songwriter Donald McNeill and his daughter Jen from Scottish Island of Colonsay, resulting the album Fathers and Sons. 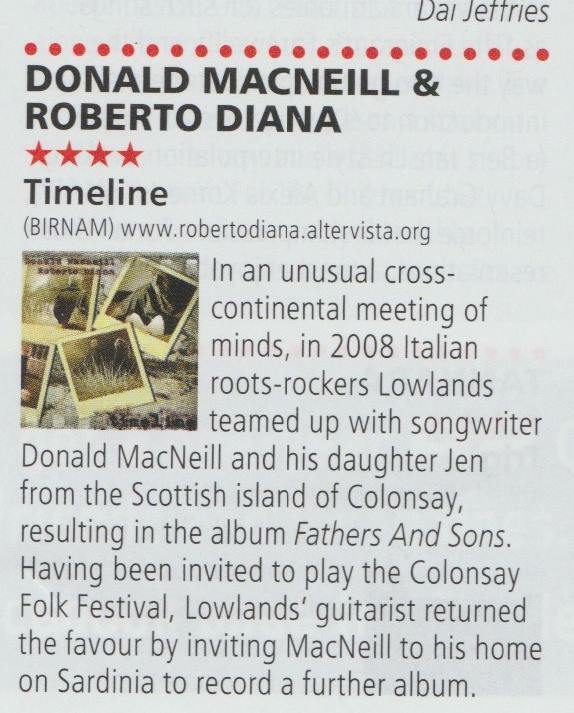 Having been invited to play the Colonsay Folk festival, Lowlands’ guitarist returned the favor by inviting McNeill to his home on Sardinia to record a further album. 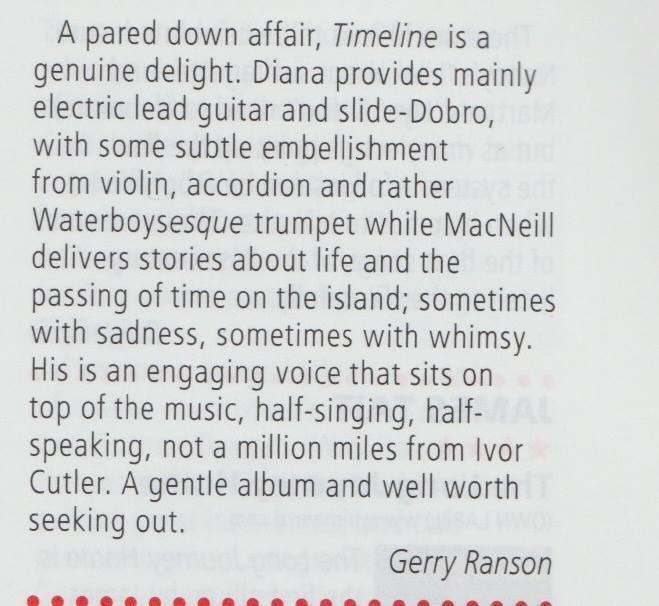 A pared down affair, Timeline is a genuine delight. 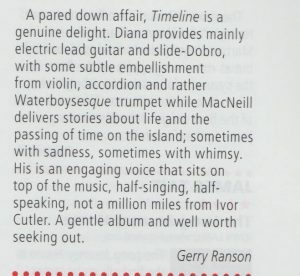 Diana provides mainly electric lead guitars and slide-dobro, with some subtle embellishment from violin, accordion and rather Waterboysesque trumpet while McNeill delivers stories about life and the passing of time on the Island; sometimes with sadness, sometimes with whimsy.